We offer various hooks and connectors for different usages. The size, type of locking mechanism and material (aluminium or steel) are characteristics to keep in mind when selecting the right connector. All our karabiners and hooks come with different locking mechanisms: a standard screw lock mechanism, a double lock mechanism and a triple lock mechanism. The latter provides extra safety by locking automatically upon release. 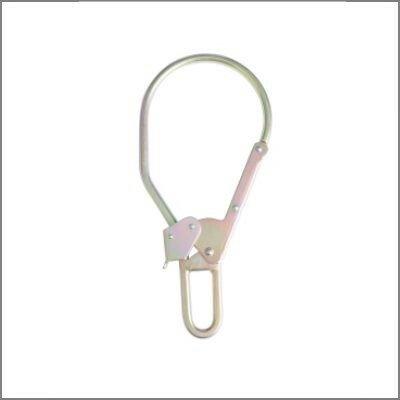 A steel karabiner with manual screw locking mechanism. Breaking stength is 25 kN. 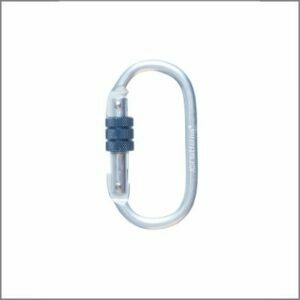 Steel karabiner with triple lock mechanism. 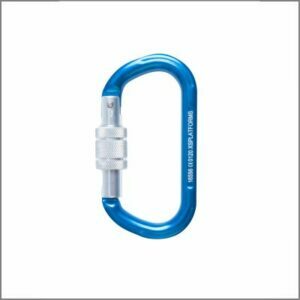 Will automatically lock the carabiner upon release. 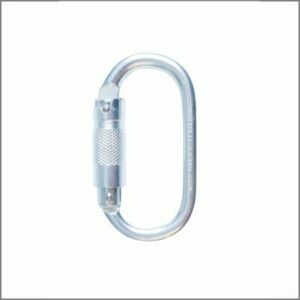 Aluminium karabiner with triple lock mechanism. 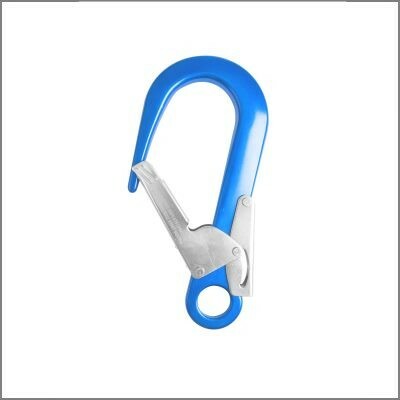 Will automatically lock the carabiner upon release. 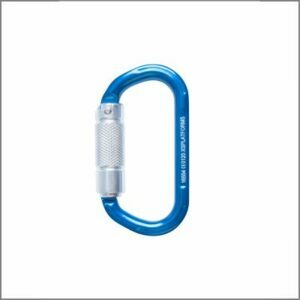 Aluminium karabiner with manual screw lock mechanism. Breaking strength is 23 kN. 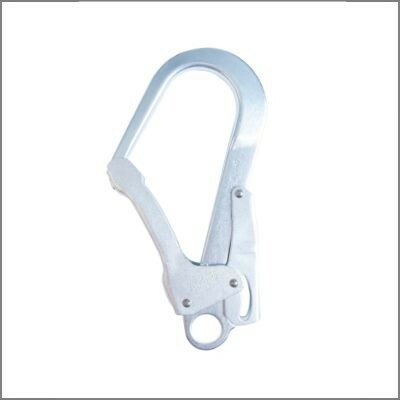 Karabiners and hooks mostly come in an aluminium or a steel variant. The main difference between the two is the weight of the product. Aluminium is more lightweight, which provides more ease of use. Steel has a more robust feel to it. The two materials are equal in strength, so the choice will mainly be based on personal preference.